The City of Seattle / USA publishes a great amount of data regarding public services as their contribution to OpenData USA. Among other sources, Seattle also publishes past years of data from 911 emergency service dispatch. Taking those data and analyzing them with our Premergency solution for Predictive Firefighting is the base of the current article. The results show how to derive future emergencies in fire services with past data. A distinction and prognosis for types of emergencies and temporal frequency is possible. Such models of Predictive Firefighting like in Premergency are key to understand the current and future security level in cities and counties regarding quality and economical measures comparing them to the necessary run costs and investments. The goal of such models is to transform each fire brigade i.e. fire department into a performance oriented organization using key performance indicators. This case study differs from our article in the German firefighting magazine “Brandschutz” 11/2015 as it uses only a reduced set of parameters, namely the type, location and timestamps of dispatched emergencies. In the former article we used a combination of past incidents and social parameters like population density and building structure. Missing data is mainly due to Open Data in Seattle and worldwide currently only ramping up with still some data missing from public sources. E.g. the department of housing is currently not offering data on fire inspections or general inspections. We hope to continue with more data and multi-variate extensions in the future as cities are widely adapting to Open Data. In first hand approximation locally lower amount of emergency leads to lower probabilities for emergencies. Without sacrificing the security level for citizens those areas can be planned with graded security concepts keeping investments at economical reasonable scales. Moreover, areas with smaller population density often show less possible hazardous scenarios. Therefore, a carefully locally designed organization of emergency and fire services is key. with t the temporal data, D the past emergency data, T the type of emergency. For the overall process data had to be imported into our Premergency system. Afterwards several filters were applied to deduce a spacial probability density for a local emergency site. Here we limit ourselves to the emergency medical services (EMS) i.e. rescue service. The following picture shows the risk probability for emergencies (dispatch type “Aid Response”, “Aid Response Freeway” for a Monday in Winter in respect to the total probability. Predictive Firefighting map with probability for emergency operations (EMS response) during workdays at night. Thereby, the locally prognosis for expectation of emergencies is derived by summing up neighboring hexagons i.e. bins in the service area. Optimizing those integrals in terms of service area and emergency probability per shift allows a site optimization for rescue and fire stations. That means future behavior can be learned from past data and additional risk parameters (cf. our article in German). In terms of workload this analysis and optimization can further be done for different day- and nighttimes. In the shown examples Mondays or workdays during wintertime (Dec.-Feb.) were chosen. The temporal and spacial analysis has to consider the lowest possible information density to guarantee large enough number of cases per bin and hypotheses. This requirement is necessary to allow a statistical distinction between hypotheses in respect to a Bayesian view. In the case of the City of Seattle 240.000 aid responses are recorded, providing a large enough number to consider temporal units down to one hour. The advantage of the Bayesian view is the evaluation of hypotheses under limited information compared to classical Frequentist view (Laplace and Fisher). Continuing, a comparison between workdays and weekends for the summertime (Jun.-Aug.) identifies clear hotspots for the workdays (here relative to the weekends, normalized to days). Such a comparison helps to identify ideal work shifts and workforce reinforcements. Predictive Firefighting: Comparison of the likelihood of emergency cases (aid response) during workdays compared to weekends in summer. Comparison of the likelihood for emergencies between nights and mornings (workdays) for emergency medical response in Seattle. In the mornings significantly less incidents are predicted. This phenomenon can be coined “Sleepless in Seattle”. Another comparison, same city: Leisure activities usually differ between summer and winter. In the spacial likelihood distribution for emergencies those patterns are recognizable. During summer decreasing number of emergencies in the field can be expected, whereby the orange to red scale indicates hotspots during summer near the shores, lakes and main streets. As a side note, the total amount of incidents does not vary much between the days of the week. Comparison of likelihood for incidents on weekends during summer in respect to winter. Calculating the ratio for the likelihood summer to winter for workdays, other hotspots mainly in the city center become visible. In the shown picture only slight increases for the summer are visible (<50%). Empty hexagons mean no change, constant likelihood. Likelihood ratio between summer- and wintertime for EMS incidents (aid response) on workdays. This case study emphasizes the importance of permanent recording and evaluation of key performance indicators for public services. In this sense the United States and especially their urban areas do a great job in respect to Open Data. The acquired data are invaluable for further innovations and greater service to the public. Starting with a small number of parameters (coordinates/locations/addresses, incident type and time) organizational change and improvements can be structured using approaches like Predictive Firefighting. In an agile manner, further parameters and enhanced models can be deployed to field. E.g. 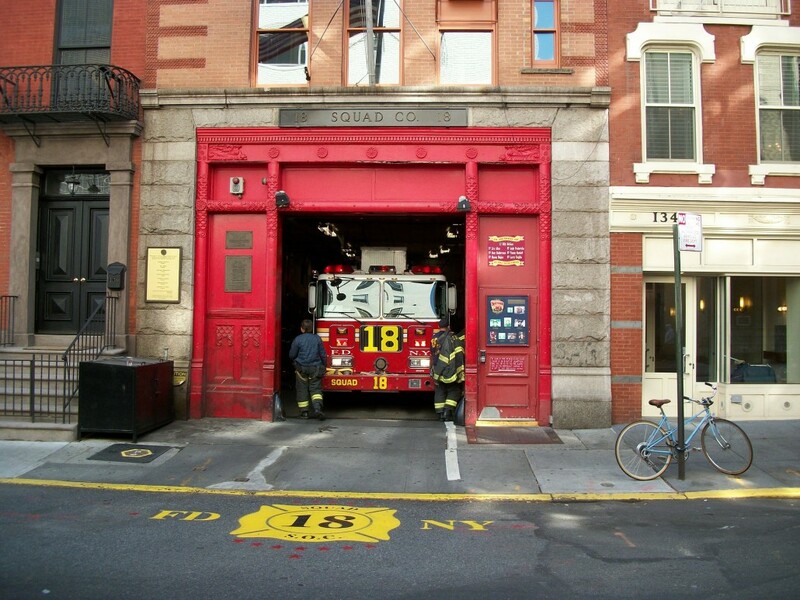 the Fire Department of New York started with a small number and fine-tuned the current machine-learning model to greater accuracy with almost 100 parameters. Start small and think big is key. Moreover, long term decisions like placement of fire stations or battalion field area can be derived from such risk models. The number of expected incidents can be predicted and workload controlled by adjusting service areas. However, to cover long term trends with good models, generation and processing of data has to be automated and institutionalized. Ultimately, wrong or outdated station placement can deteriorate units’ workload. Consequences are delayed investment costs but also massively increased HR budget for additional units at other sites. On the mid-term dissatisfaction of staff is likely: One unit is suffering from overpowering workload, while other units have to be relieved from boredom. To prevent such scenarios, especially rescue services and US fire departments are increasingly deploying small units and stations at decreased costs (rent or buy). Such small outposts are much easier moved around than a fully equipped site. For fire departments a risk oriented approach like Predictive Firefighting is advantageous. Those models can simulate the variation of staffing levels adapting to changing temporal risks. They also predict structural changes for incidents (e.g. introduced by changes in housing or population density). Locally increased workload caused by mega events can be simulated as well and extra units be designated accordingly. Thereby fire prevention and fire fighting are aligned using risk models aka Predictive Firefighting. Such multivariate risk models for Predictive Firefighting allow to test hypothesis for the frequency of fire ignitions. After identification of suitable parameters, actions can be taken to reduce the risk of fire ignition. Actions can be e.g. prioritization of fire inspections. Adrian Ridder could prove in his dissertation (German), that a correlation between building height, age and frequency of fire ignition is present (A. Ridder: „Risikologische Betrachtungen zur strategischen Planung von Feuerwehren (Wuppertaler Berichte zur Sicherheitstechnik und zum Brand- und Explosionsschutz Band 11)“, VdS-Verlag, Köln 2015). English information are provided on their project’s website “TIBRO”. Disclaimer: The data made available here has been modified for use from its original source, which is the City of Seattle. Neither the City of Seattle nor the Office of the Chief Technology Officer (OCTO) makes any claims as to the completeness, timeliness, accuracy or content of any data contained in this application; makes any representation of any kind, including, but not limited to, warranty of the accuracy or fitness for a particular use; nor are any such warranties to be implied or inferred with respect to the information or data furnished herein. The data is subject to change as modifications and updates are complete. It is understood that the information contained in the web feed is being used at one’s own risk. The copyright for underlying map data is by HERE Inc.